Oshawa Optometrists in the Oshawa Optometrists Directory. 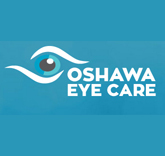 See the list of professional optometrists in Oshawa who services people from the Oshawa area. Experienced optometrists provide you with comprehensive eye examinations. Each eye examination is customized on your age, medical/visual history, and personal risk factors.